Sir John Chadwick, as President of the Cayman Islands Court of Appeal is an ‘ex-officio’ member of the JLSC appointed to it in accordance with section 105(1)(b). Sir John was called to the Bar of England and Wales by Inner Temple in 1966 (Bencher 1986, Treasurer 2004). He was in private practice, undertaking litigation and advisory work principally in property, company, insolvency, banking and insurance matters (including litigation in Singapore, Malaysia, Hong Kong and Bermuda), from 1967 to 199l. He was Standing Counsel to the UK Department of Trade and Industry, 1974 to 1980; appointed Queen’s Counsel in 1980; a Judge of the Courts of Appeal of Jersey and Guernsey, 1986 to 1993; a Recorder of Crown Courts in England and Wales, 1989 to 1991; a judge of the High Court of England and Wales assigned to the Chancery Division, 1991 to 1997; Chancery Supervising Judge, Birmingham, Bristol and Cardiff, 1993 to 1997; appointed to HM Privy Council 1997; and a judge of the Court of Appeal of England and Wales, 1997 to 2007. 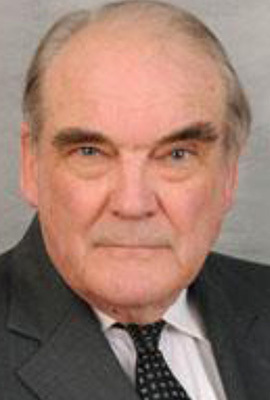 In 2008 Sir John was appointed Judge of the Dubai International Financial Centre Courts and was appointed Deputy Chief Justice in 2013; Lieutenant Bailiff (Judge) in Guernsey and President of the Court of Appeal of the Cayman Islands. In 2009 he was appointed a member of the Dubai World Special Tribunal. Sir John has served on the JLSC since 1 August 2010. This term automatically expired in January 2016 when he retired as President of the Cayman Islands Court of Appeal.